Overall it was a great experience. The staff was extremely friendly and accommodating even when my room wasn't ready at the 4pm checkin. They did there best to keep me informed and did there best to fix quickly. I was there for the Marathon and unfortunately, I ended up in the hospital for 5.5 hrs. The front desk was extremely understanding and extended my checkout until I was discharged forth hospital. I can't thank them enough for their understanding. The rooms were clean and comfortable. If I I come back to Miami in the future, I will definitely stay here. Worth the price. 28-Jan-2019 Verified Review, stayed from Fri Jan 25 to Sun Jan 27 2019 at a $285.02 average nightly rate. Sleek architecture, spectacular artwork and warm wood tones make a stunning first impression as you enter the 5-star amenity JW Marriott Hotel Miami. Rising 22 stories from the heart of the financial district on prestigious Brickell Avenue, this downtown Miami hotel blends the features of a premier conference and meeting facility with timeless elegance, thoughtful amenities and award-winning service. As one of the most respected luxury hotels in Miami, elegantly furnished guest rooms and suites hold the finest of details, including marble tubs, high-speed Internet and flat-screen technology. Dining delights, with a choice ranging from the wine inspired contemporary cuisine of The Trapiche Room , to the casual fare at La Terraza Cafe and Bar. Relaxation is as close as the luxurious spa, and the unique stainless steel pool. When an occasion calls for an outstanding venue, JW Marriott's impeccable service and eye for detail will ensure the success of your next business or social event. Miami International Airport is located 8 miles away, about 15 minutes. Taxi fair about $35-$40 each way. 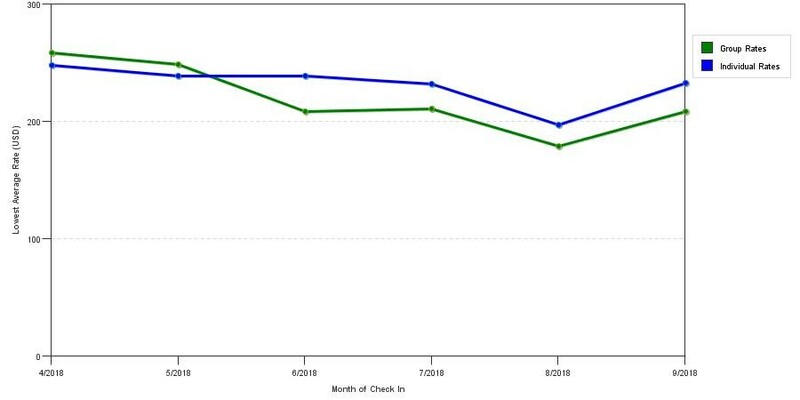 Above shows seasonality of room prices for both our group rates and the lowest individual traveler rates our rate checker could find at the time the group bid was placed. The best group rate shown is 19.1% in December 2017 and the highest average individual rate is $320 in the month of December 2017. This chart will show past seasonality and also project future months. If you are flexible with dates, you may want to consider staying at JW Marriott Hotel Miami in a month when rates are lower. 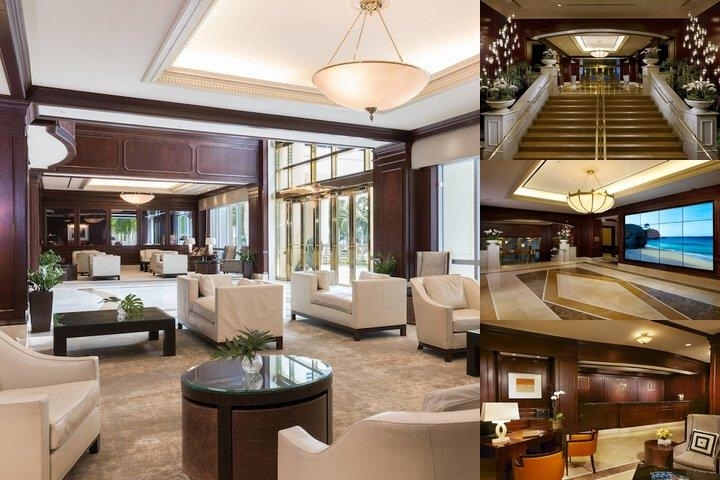 Below are the meeting, banquet, conference and event spaces at JW Marriott Hotel Miami. Feel free to use the JW Marriott Hotel Miami meeting space capacities chart below to help in your event planning. Hotel Planner specializes in Miami event planning for sleeping rooms and meeting space for corporate events, weddings, parties, conventions, negotiated rates and trade shows. 115 x 87 x 16 Ft.
38 x 26 x 16 Ft.
38 x 24 x 16 Ft.
38 x 27 x 16 Ft.
50 x 23 x 10 Ft.
54 x 23 x 10 Ft.
27 x 23 x 10 Ft.
87 x 40 x 16 Ft.
23 x 18 x 10 Ft.
55 x 42 x 10 Ft.
30 x 16 x 10 Ft.
26 x 38 x 16 Ft.
22 x 23 x 10 Ft.
23 x 23 x 10 Ft.
11 x 19 x 9 Ft.
24 x 38 x 16 Ft.
27 x 38 x 16 Ft.